Every month I participate in a no spend challenge where I set a goal for how many days I don’t want to spend money that month (usually week days- we do all of our errands on weekends). It doesn’t have to do with spending less, but more with understanding our spending patterns. For a lot of reasons, though, January has been a crazy, out of control month. I think in February we may need to buckle down just so that I can feel like we’re in control again. I think I saw this on another blog that referenced this one. I dont remember which site it was but I think its a great idea and a excellent way to save. Using what you have and being creative will surely help you save money. I know there are alot of thing in the pantry that go unused and we simply buy more food even when we have things to eat. Challenges are my favorite way to get myself in shape or on track – usually with spending X no spend days out of Y days works great for me. The pantry challenge is a cool idea because it could be fun. Hot dogs wrapped in tortillas and cheese, anyone? 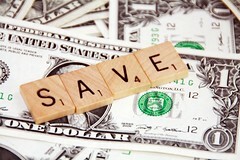 I love doing a no spend challenge every once in a while, cutting a certain expense. i find the winter is the easiest time to do it as I have the fewest reasons to splurge (summer usually means fun stuff, travel, vacation = expenses) I think I’m going to try to do limited spending in a few categories for February. I don’t get involved in any of the challenges. It’s not that I’m anti-social or hate being part of something, I just don’t get all of them. I guess I just don’t understand the need to put such an importance on money that people will give up the things that give them pleasure and enjoyment in life. Sure it’s nice to save as much as you can, but if you have found a budget and plan that works for your lifestyle, then that should be good enough. After all, what good is making money if you can’t enjoy the things it can do for you (reasonably speaking) and you can’t take it with you when this life is over. @shanendoah I agree spending challenges can teach you quite a bit about your spending patterns. I’ll take your suggestion and try to designate a few days as no spend days. @jeff Yes, and they are great for generating extra money to go on debt. @andrea You are right, the winter is much easier to have a no spend challenge, especially when February only has 28 days! @eric I understand what you are saying, but if you have overspent, or want to generate extra money for some purpose or just want to use up what you have before you buy more, challenges can be good. Not doing any formal challenges but I am trying to be more regimented about getting some small cleaning chores and organization tasks done on a more regular basis. This past year we have been doing a grocery challenge. We have been trying to stay within a certain budget amount. All and all we are doing ok but there are still a few times we have gone over. We are going to keep working on it. very cool idea, the no spend month would be a great one to try out. We have tried the no spend week, or two, but never last a month. I have gone a month without going out to eat before, felt great, but hard to continue. yes! the pantry challenge, for sure. I’m moving this month and don’t want to move half (or less) filled jars of anything. I made it more fun this time by deciding I had to finish all the booze, too. You know, for the sake of moving.